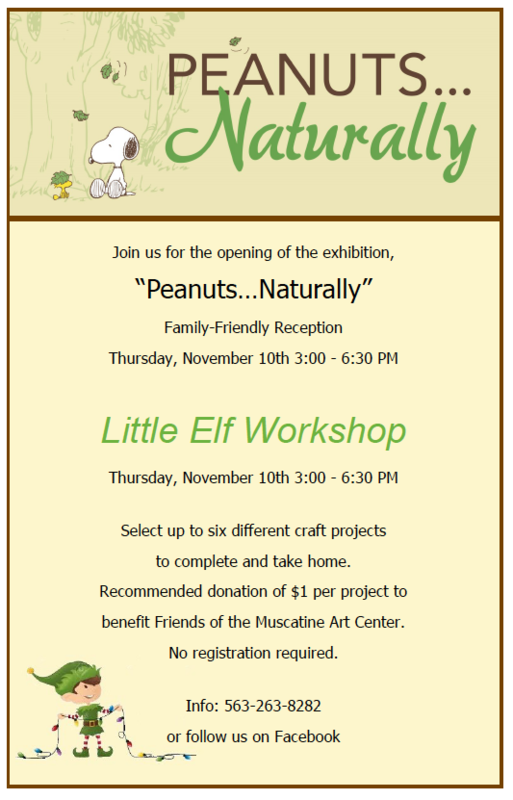 Join the fun at our opening reception for our next exhibition, Peanuts…Naturally. Also our Little Elf Workshop. Select up to six projects to complete and take home. Recommended donation of $1.00 per project.